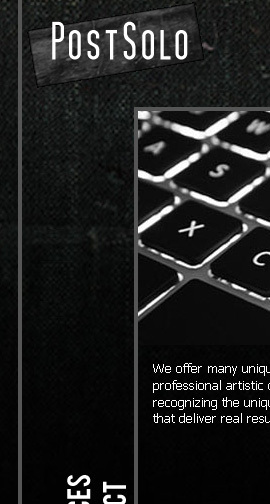 Postsolo was a web and graphic design company I started with Michele Moe in 2008. Our mission was to create beautiful and well-built sites with Michele heading the design portion and me on the backend. We have gone onto other projects but I'm still proud of what we did. This site is pretty basic. As expected, Michele handled the layout design, images and content. I took Michele's source images, sliced them and applied HTML and CSS to create the website. I implemented a simple contact form that emails both of us when someone submits an inquiry.